Helge Scherlund's eLearning News: Cell Phones - Time to Lift the Ban on Mobiles in the School Setting? Cell Phones - Time to Lift the Ban on Mobiles in the School Setting? Editor Tom Hanson, OpenEducation.net has published an excellent post about Cell Phones - Time to Lift the Ban on Mobiles in the School Setting? Thomas Hanson writes, "Needless to say, the general consensus regarding cell phones and schools is that the two simply do not mix. However, a new study from across the pond gives strong indication that schools should give greater consideration to putting these handheld mobile devices to work. However, Elizabeth Hartnell-Young and Nadja Heym of the Learning Sciences Research Institute at the University of Nottingham recently released a research report that would seem to contradict that current viewpoint. While How mobile phones help learning in secondary schools may not be a ringing endorsement of cell phone use for educational purposes, it certainly offers an interesting take on the potential use of these mobile devices to enhance the educational setting. The study followed teachers in three schools who began exploring ways to use students’ personal phones as well as additional borrowed smart phones. 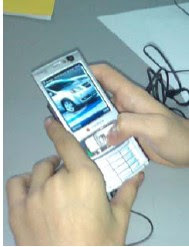 Though in each case there were existing school policies banning mobile phones in class, students were given permission to use cell phones for a wide array of activities. The report are available in word format and in PDF.